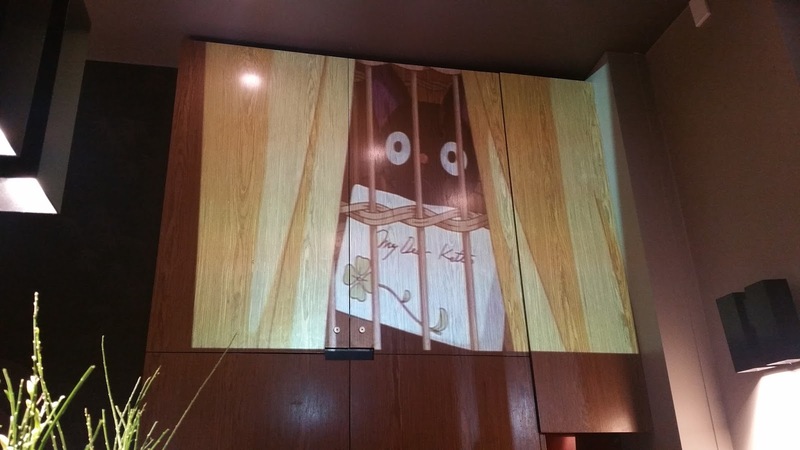 Was really cold in Melbourne when I went a couple of days ago, and my companion and I wanted nothing more than to just hide out at the hotel and order pizza. 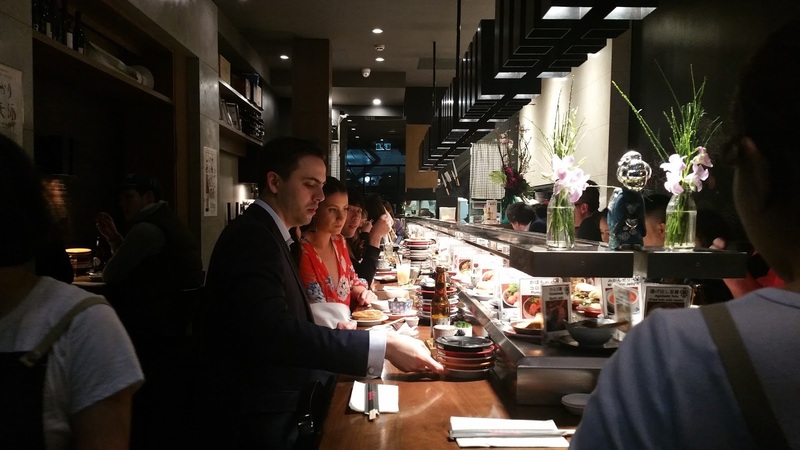 Unfortunately for him, I wouldn’t allow the opportunity to have dinner at Melbourne go to waste. 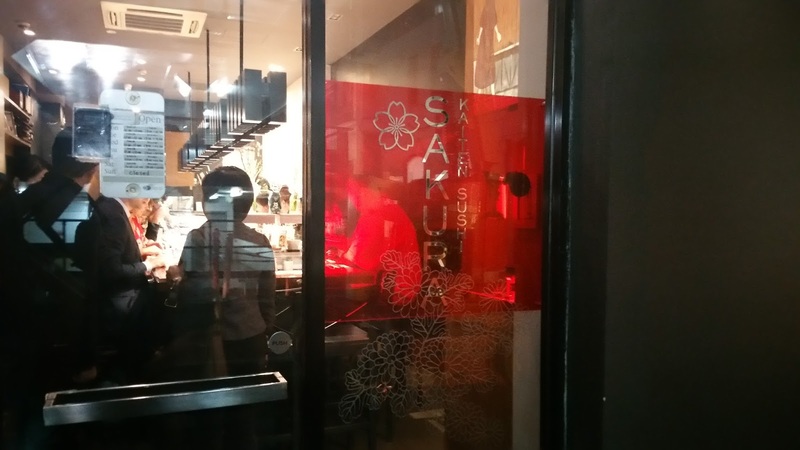 So with much duress, I “convinced” him to go and grab some Japanese with me at Sakura Kaiten Sushi. Arriving just past six, we took the last two seats in their now full house. To be fair, the restaurant was quite small, with customers sitting around the small conveyor belt. We were seated near the door and right under the super adorable mini screening of Studio Ghibli’s Kiki’s Delivery Service (Queen V would have loved it here). 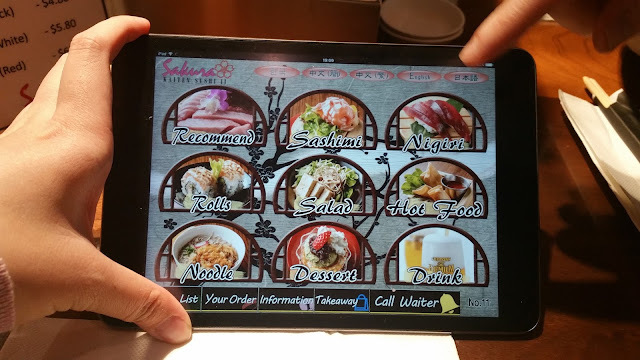 Like quite a few of the sushi trains, we could make special orders on an ipad. 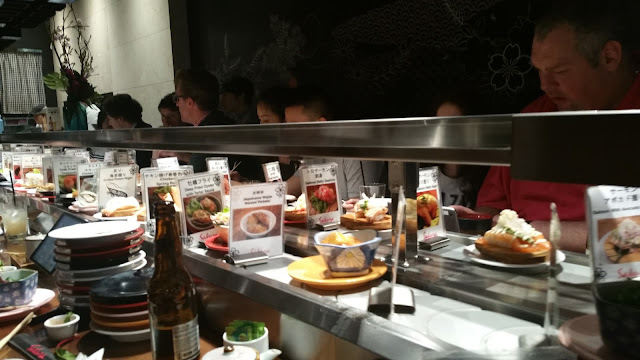 Unlike any of the sushi trains I had been to though, Sakura Kaiten had an additional express track on top of the main conveyor belt for special orders to be served upon. 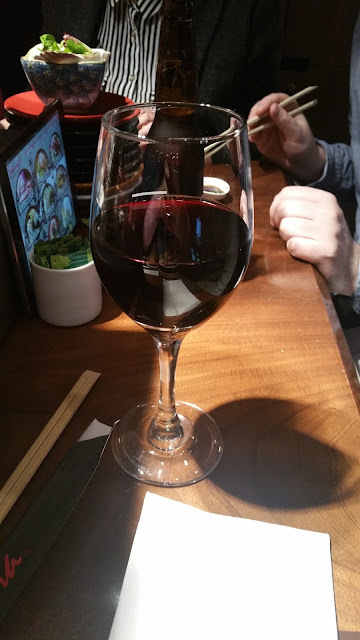 As you may have guessed by now, my companion started his meal with a red wine. 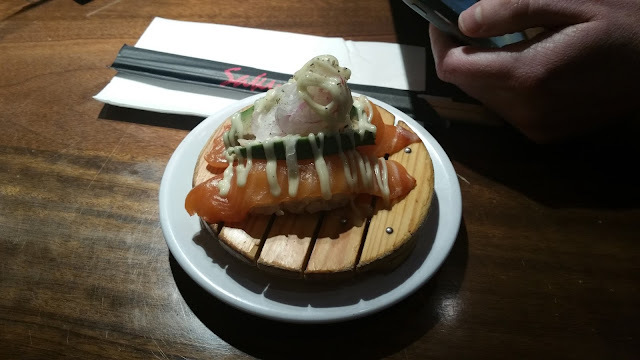 To kick off my meal, I had a salmon avocado nigiri. The salmon was thick cut but the avocado was small but ripe, and the mayonnaise and onion was a nice touch to the dish. 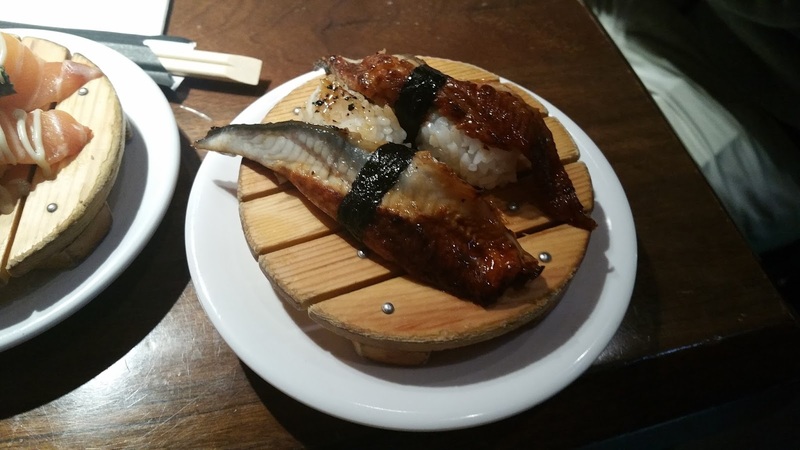 The unagi was just as delicious as it looks. With its generous cut and being grilled to a delicious crisp, this was one of the best unagi nigiri I have had in Australia. 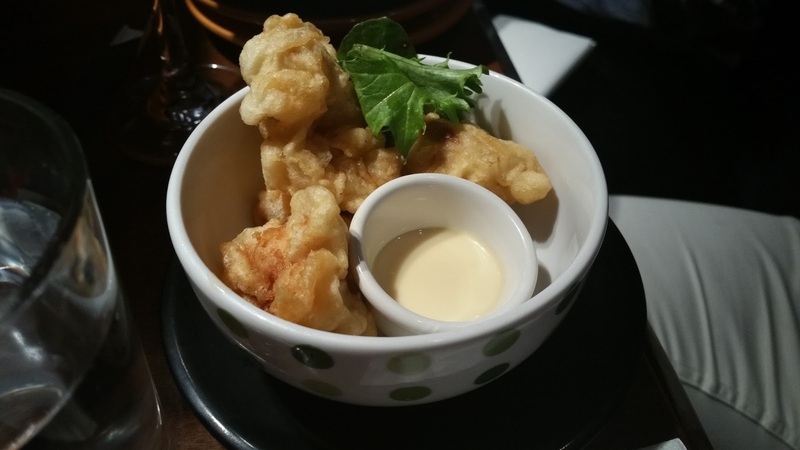 My companion started off with some lemon fried chicken. With its light batter, it was reportedly quite tasty. This was the salmon ikura. 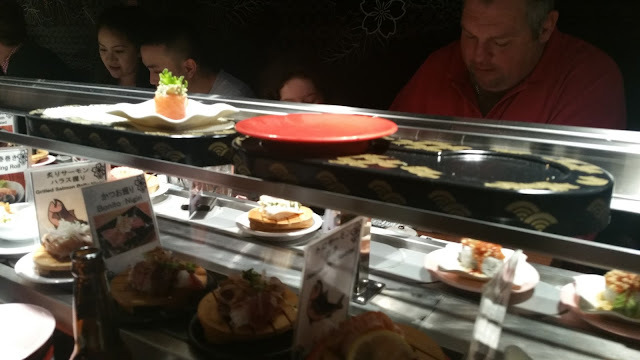 Although a little smaller than what I am used to, the fish and roe were very fresh, and I relished every pop in my mouth. 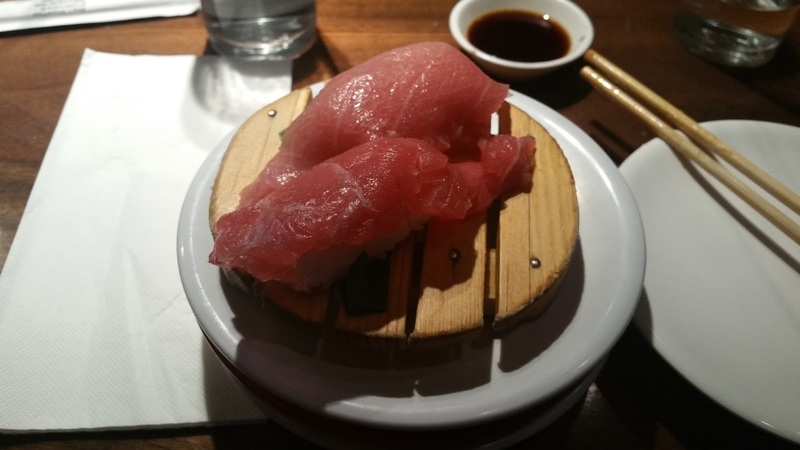 I also enjoyed a dish of the tuna special that evening. It was quite fresh and smooth with the fish melting in my mouth. 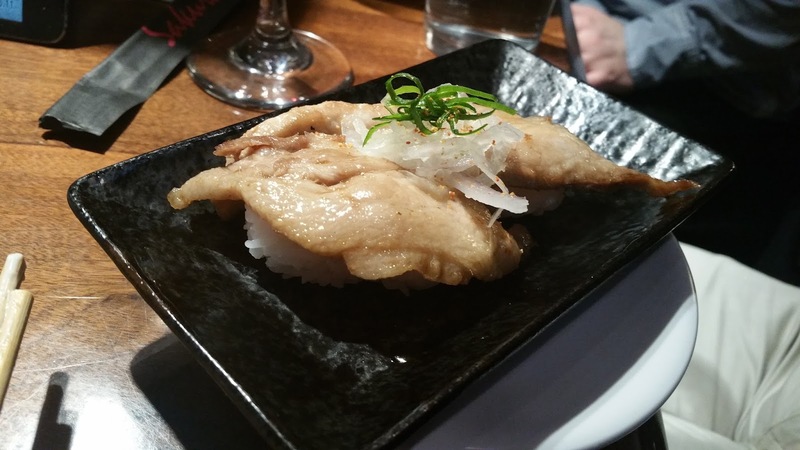 I really enjoyed the pure flavour of the fish, unhindered by any distractions. 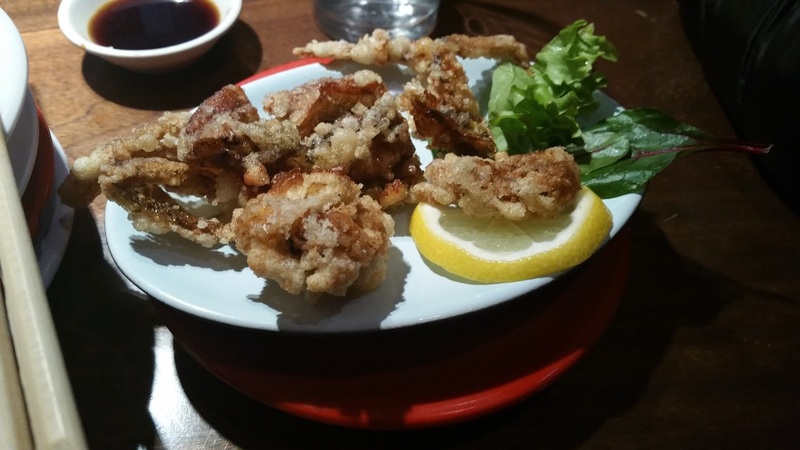 Next up, I had some soft shell crab, which was super crunchy whilst maintaining its juiciness inside. I would have enjoyed it a bit more though if it came with dipping sauce. 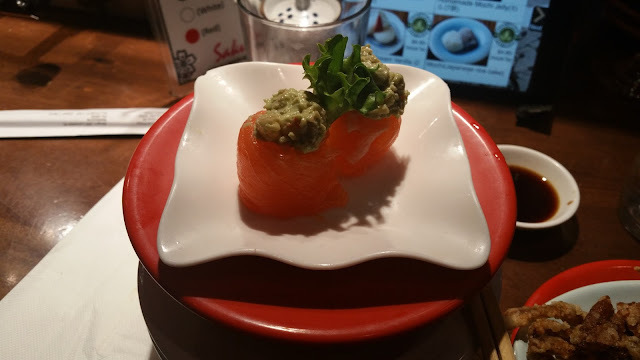 Wanting to try out the ordering system, I got an avocado salmon ship through the ipad. It came within 5 minutes to much spectacle and fanfare. Needless to say I was super impressed with the efficiency. 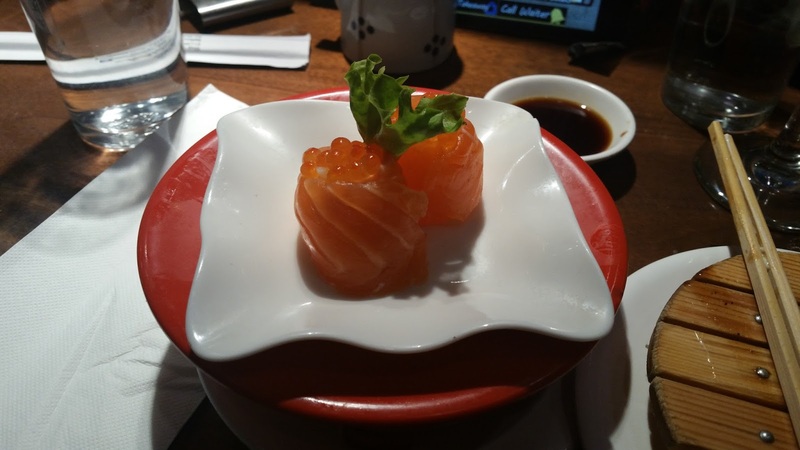 Like the salmon ikura, it came as two little parcels of rice wrapped in salmon. This time though, it was topped with seasoned smashed avocado, making a delicious and comforting combination. My companion rounded off his meal with an order of roast pork belly. It was only very slightly browned but very moist, which he enjoyed.